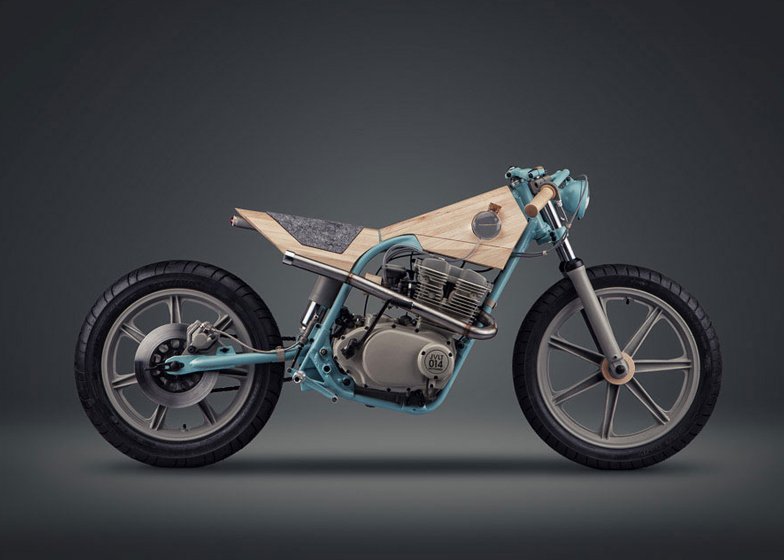 Milan 2014: Italian design studio Joe Velluto has collaborated with motorcycle company NorthEastCustom to make a bike-shaped piece of furniture that replaces metal and plastic with glass, wood and wool (+ slideshow). 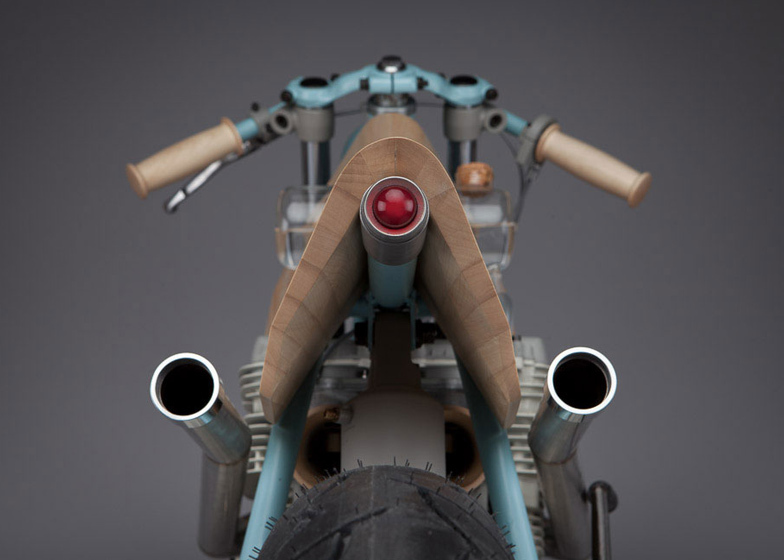 Exhibited at the Triennale di Milano museum during the Milan design week, the JVLT014 is part motorbike, part sculpture, and was designed as a piece of furniture that has the features of a mode of transportation. 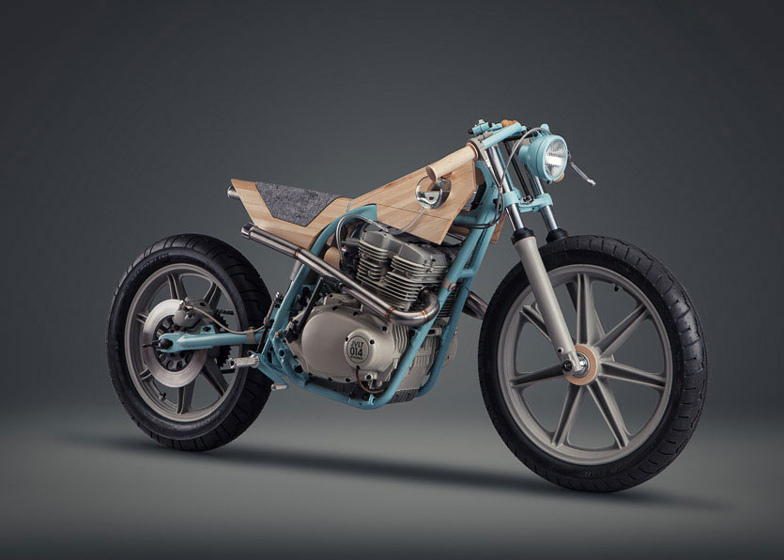 "The motorbike is inspired by the world of furniture, to become an object to be admired and freezing its mobile nature in immobile," said the Joe Velluto team in a statement. 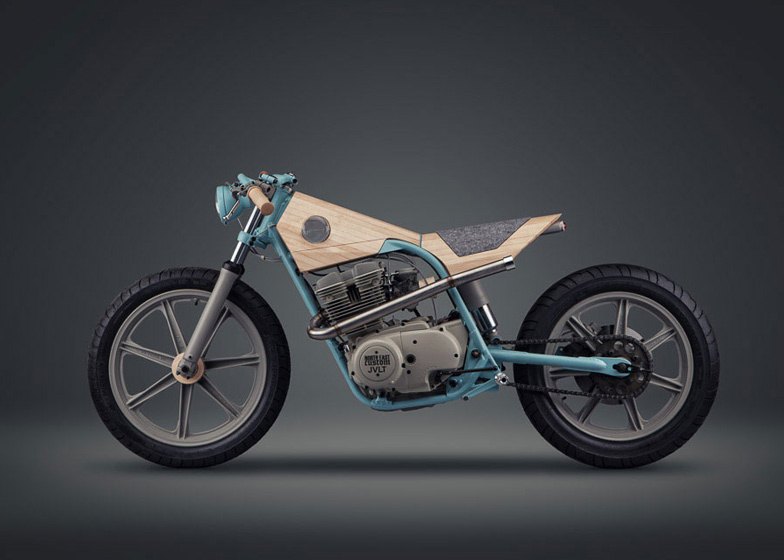 With a frame finished in baby blue and a body made almost entirely from wood, but still containing an engine, the JVLT014 is unusual in both furniture and motorbike design. 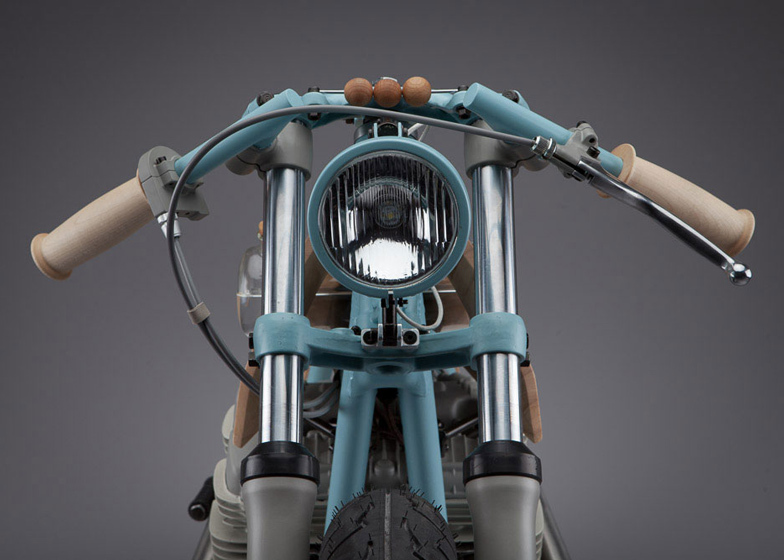 "The motorbike, normally a symbol of mobility, is now immobile to radicalise the vision of the custom," said the team. 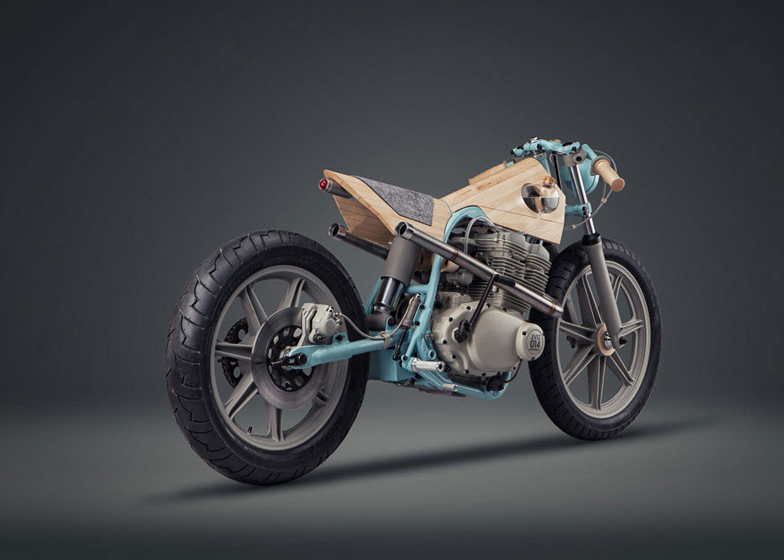 Several of the components of the motorbike have been replaced with those normally found on furniture and in the home, to make the JVLT014 match its new surroundings. "All the pieces of the motorcycle are corrupted and then reinvented with new elements coming from the house world," the team explained. 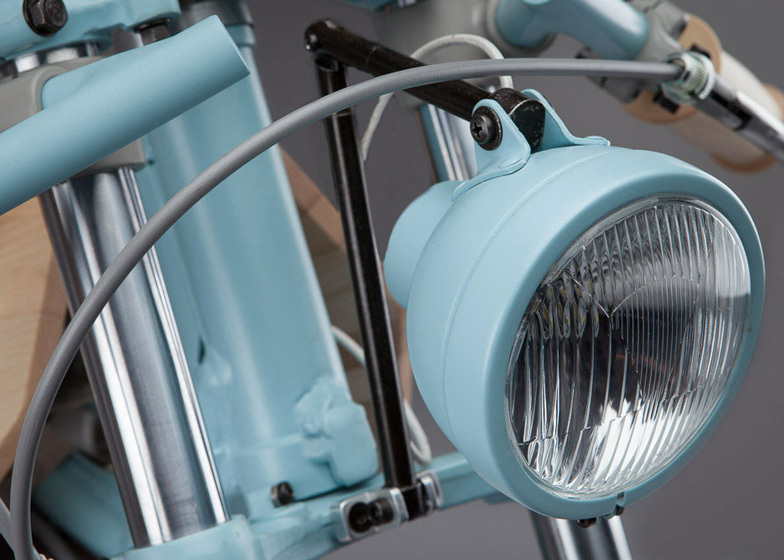 The head light, inspired by desk lamps, is attached to an articulated arm that allows it to extend and be directed in multiple directions. The petrol tank has been replaced with a glass bowl and juts out from the wood panelling adorning the bike. The glass, blown by master glazier Massimo Lunardon features a cork stopper, and can be used as a vase. 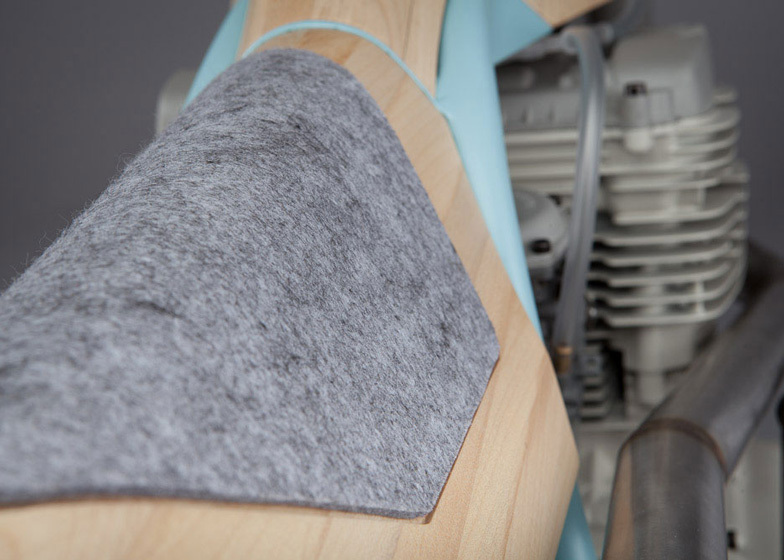 The seat, which is normally made from padded leather, has been constructed using felt laid into a pre-cut section of the saddle of the JVLT014. 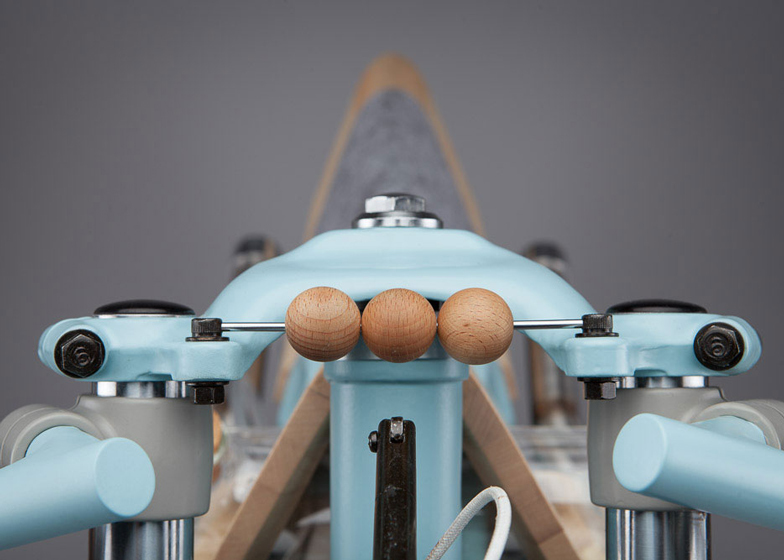 The odometer has been replaced by a minimal version of an abacus, with just three wooden balls assembled on a single piece of metal. 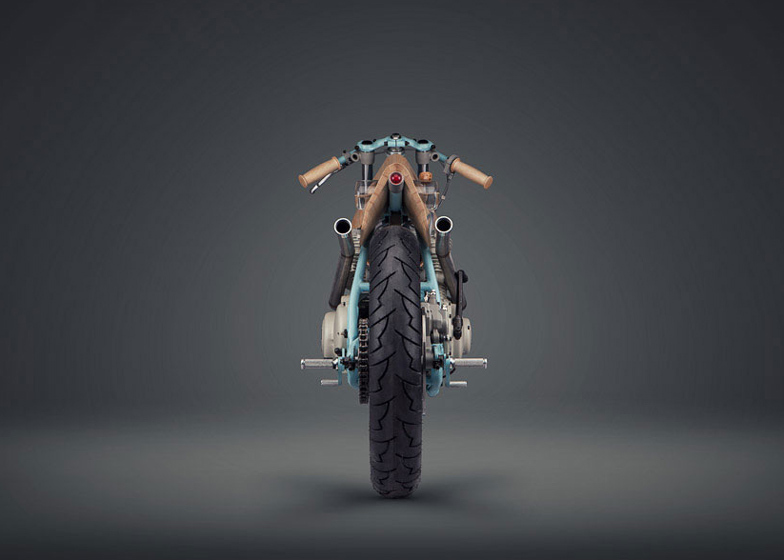 Of the elements of the motorbike that have remained, the team behind the JVLT014 have simplified the design. 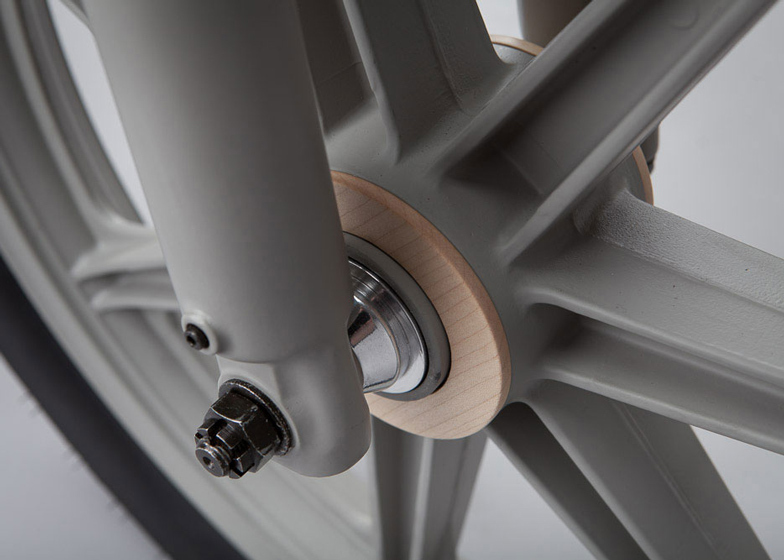 One of the brakes has been removed, and the double suspension has been replaced by a single damper, which looks like a polished piston situated below the seat at the rear. The engine block remains, along with dual exhaust pipes finished in chrome that extend to the back of the bike. 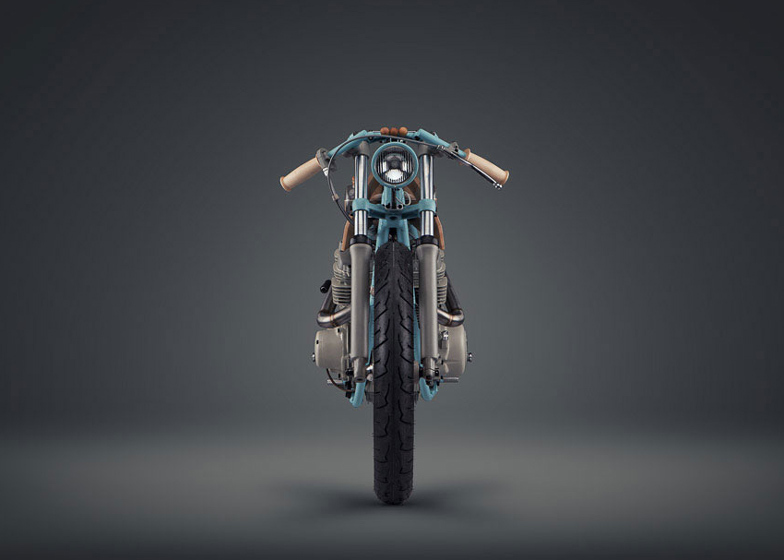 "Regarding the choice of materials, they're all very different from the ones which are normally used in the construction of a motorcycle," said the team. 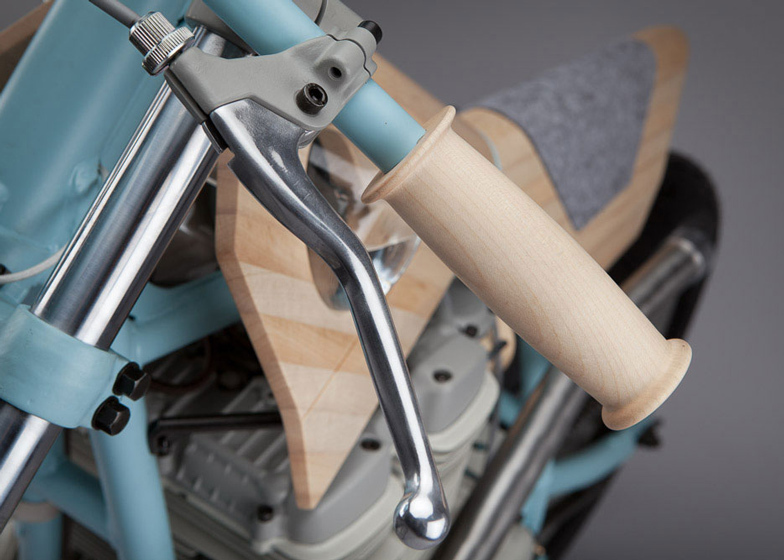 "Wood, glass, cork, felt and leather take place of metal and plastic. Everything becomes sheerer, less industrial and with an artisan taste." NorthEastCustoms is an Italian custom bike manufacturer, specialising in reconditioning and building tailor-made motorcycles.